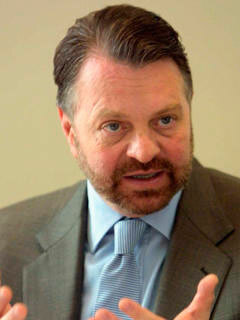 Jorge G. Castañeda is a Mexican politician and academic who served as Mexico’s secretary of foreign affairs from 2000 to 2003. He worked as a professor at several universities, including the National Autonomous University of Mexico; the University of California, Berkeley; Princeton University; New York University; and the University of Cambridge. He has authored more than a dozen books, including Ex Mex: From Migrants to Immigrants, The Mexican Shock: Its Meaning for the United States, and Perpetuating Power: How Mexican Presidents Were Chosen, all published by The New Press. Castañeda regularly contributes to newspapers such as Reforma (Mexico), El País (Spain), the Los Angeles Times, and Newsweek.